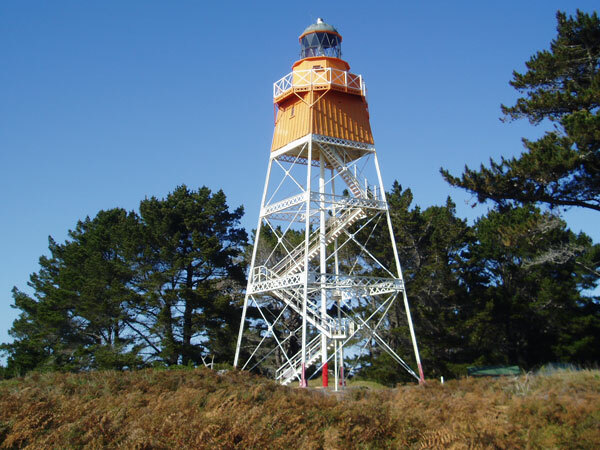 Commissioned in 1870, the first lighthouse at Farewell Spit was built cheaply and quickly of wood. The spit was not much above sea level, so the light needed to be on a high tower. Photo by Samuel Hart, one of the lightkeepers in the early 1890s. 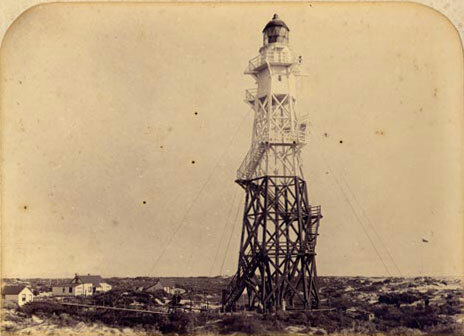 The original timber tower did not prove strong enough for the weather and abrasive sand at Farewell Spit, and it was replaced by a steel tower in 1897. 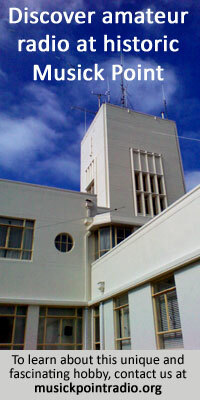 Radio equipment at this station was serviced from the Post Office Radio Depot at Blenheim. 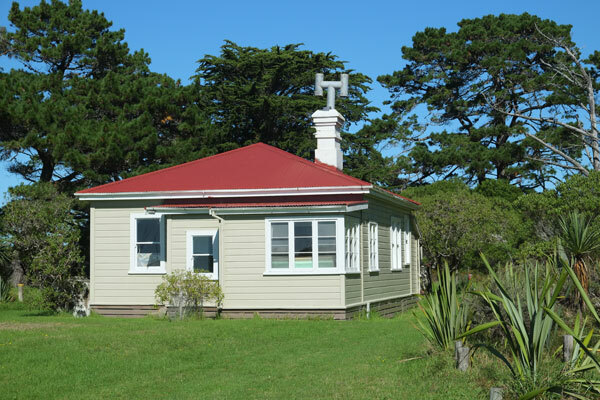 The equipment was a simple maritime MF/HF set for communicating daily weather reports to Wellington Radio ZLW and organising any logistic support required for the keepers. Transport to the Spit was by vehicle along the dunes in the early days, but latterly was by air. A charter flight by the Nelson Aero Club would land on a length of firm sand on the spit. The keeper would drive the tractor along the beach to demonstrate that the sand was firm, but not overly wet so as to bog the plane. On occasions the plane would keep rolling at a slow speed to avoid sinking in and this made unloading interesting! * Ian Hutchings trained as a radio technician with the New Zealand Post Office in 1965, and worked on a variety of radio installations before obtaining an engineering degree in 1971 and moving to the Wellington Regional Engineers Office He later moved to POHQ and was subsequently Manager, Radio Spectrum Policy under a succession of government ministries. He retired in 2015 and holds the amateur radio callsign ZL2HUT.